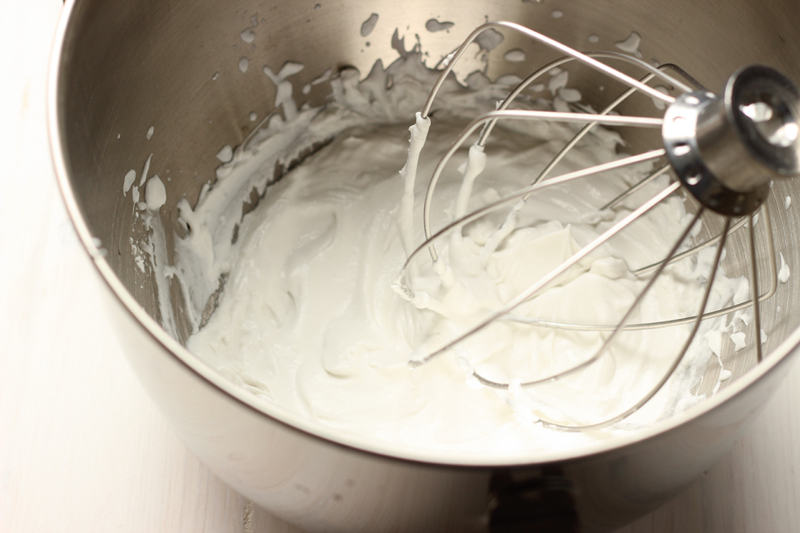 Learn how to make Coconut Whipped Cream with my quick tutorial. 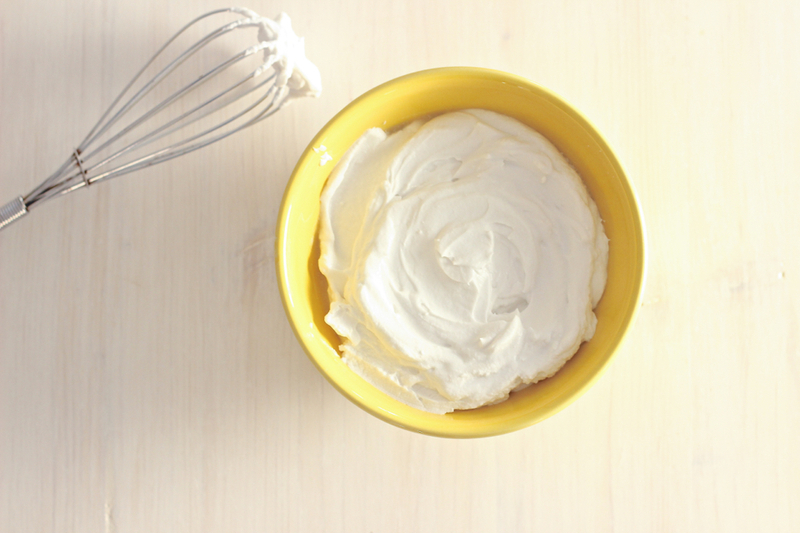 This sweet, vegan whipped cream is sure to please. I was introduced to coconut whipped cream on a hot summer day a few years ago. I was craving something sweet, cool and refreshing when I walked into LottaFrutta over in Old Fourth Ward Atlanta. This place reminds me of a fruit stand in a South American country. It’s fun and they offer lots of delicious, fresh fruit combinations. The “Cremolatta” caught my eye. I was intrigued with the fact that it was topped with coconut whipped cream. Huh? Whipped cream that’s vegan and full of coconut flavor? I’m in! 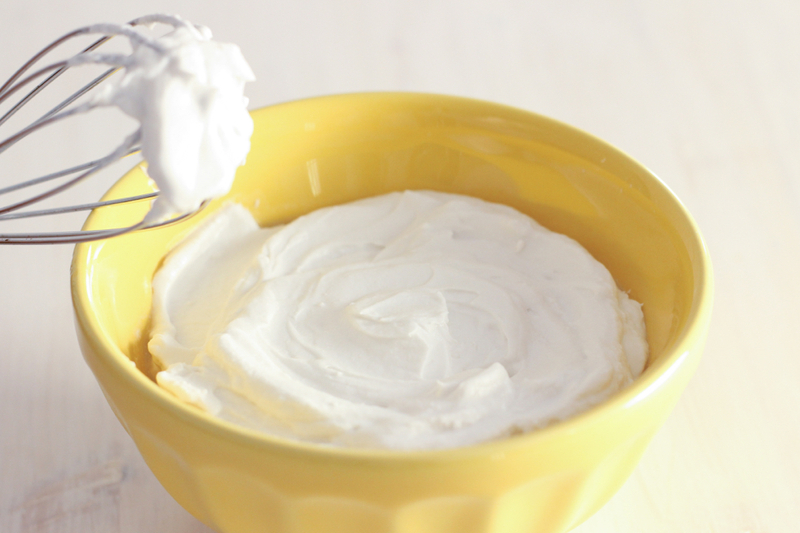 After enjoying my fruit cup, I had to find out how to make coconut whipped cream. So, I turn to one of my best friends, Google. There are tons of recipes out there for coconut whipped cream so I didn’t invent this stuff. 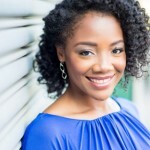 But in case you land on my site before the others, I want to pass the goodness on to you. So here ya go! 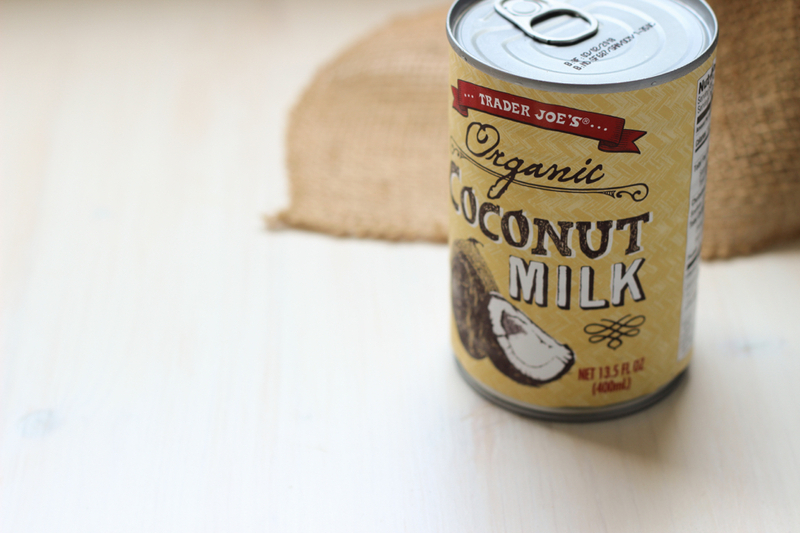 Start with a cold can of coconut cream or coconut milk. Put the can in the fridge the night before. If whipped coconut cream becomes a staple in your house, you might find yourself keeping a can of coconut milk in the fridge, just in case. Just saying. I personally like the Trader Joe’s brand because it doesn’t have a bunch of additives. There are other great brands though – just check the ingredient list. 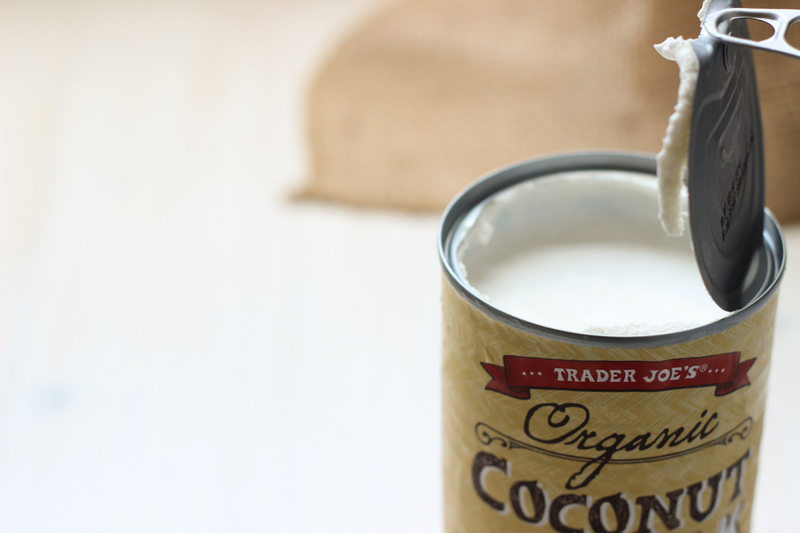 If using coconut milk, ignore the instructions on the can to “shake well.” You want to do just the opposite. Carefully open the can without shaking or tilting. Scoop the solids into a cold bowl. and leave the liquid or drain it off. The method you use depends on how the solids are set. If you’re using coconut cream, scoop it all into a cold bowl. I used my stand mixer to whip this blob into shape. It would work just as well with a whisk by hand but this way goes faster. 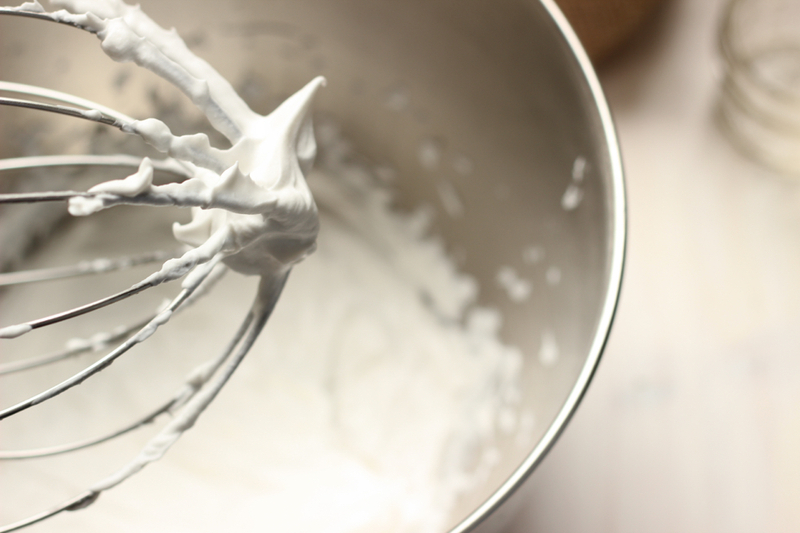 If you use a whisk, the coconut cream may get a little warm. Simply add a bowl of ice under the bowl to keep it all cool. Whip just until it’s light and creamy. Sprinkle in the sugar and vanilla. Whip again to fully incorporate the sugar and vanilla. Taste. Serve it with fresh berries or atop a piece of cake or pie. Coconut whipped cream is so rich and creamy (and stable compared to regular whipped cream) that it will also make a delicious icing for cake. I used it most recently in my Vegan Roasted Strawberries. You can refrigerate the leftovers in a sealed container for up to a week. Here’s the recipe all in one place. Before you start this recipe, chill the coconut milk or cream, mixing bowl and beaters or whisk. Scoop the coconut cream into the bowl. 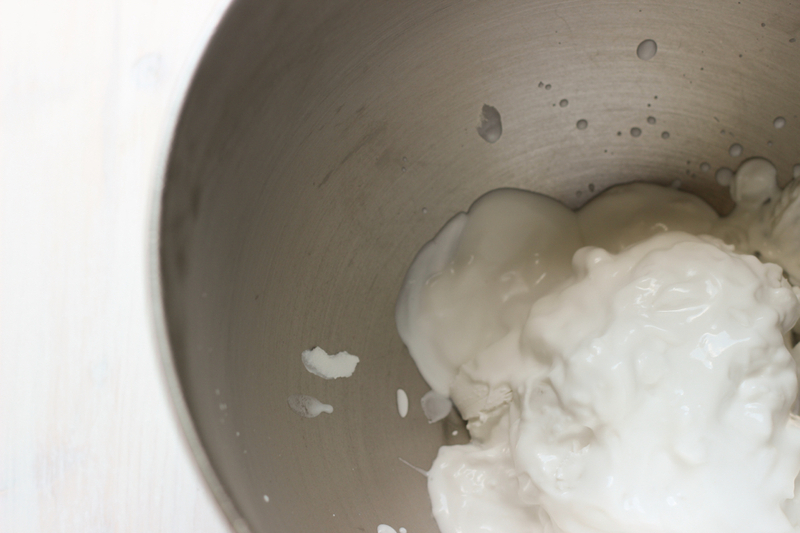 Whip the coconut cream on medium or high speed until light and fluffy. Add the powdered sugar and vanilla extract. Whip again just until those ingredients are incorporated. Serve! * Make this recipe your own. Once you’ve whipped the coconut cream, add other flavors like bourbon, cocoa powder or almond extract.